CAE Healthcare today announced it is delivering a next generation simulation-based solution to Abiomed for its Impella® heart pump training programs. Educators can now incorporate patient scenarios with complications, patient vital signs and real-time physiological responses to provide advanced preparation for healthcare professionals as they practice image-guided placement of the heart pump via femoral access. "Abiomed is a leading provider of breakthrough cardiovascular technologies for healthcare," said Dr. Robert Amyot, President of CAE Healthcare. "In working closely with Abiomed, we have delivered a leap forward in innovation. For the first time ever, we have integrated our CAE Vimedix ultrasound and patient simulation technologies into one simulator." Although appropriate for many patients, in some instances cardiac surgery is being replaced with less invasive cardiovascular interventions to reduce patient risk and recovery times. CAE Healthcare is rising to meet the demand for physician training by extending its engineering and modeling capabilities to develop custom educational solutions for medical device manufacturers. 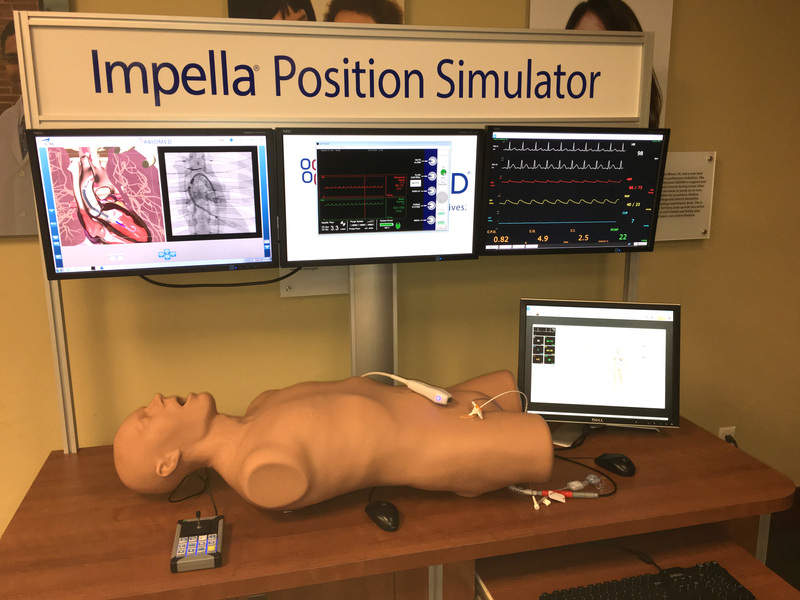 The CAE Vimedix simulator with Impella integrates the Vimedix ultrasound simulator with the CAE Müse patient simulator physiology to deliver a simulation solution that helps physicians quickly learn to deploy the device. The advanced CAE Vimedix Impella simulation employs imaging guidance to access the femoral artery, cross the aortic valve and position the device into the left ventricle of the heart. The system includes fluoroscopy and ultrasound imaging simulation, which utilizes augmented reality of the patient's anatomy along with other educational aids. "Abiomed continues to invest in the most advanced technologies to supplement our educational Impella training programs," said Michael R. Minogue, Chairman, President and Chief Executive Officer of Abiomed. "Our partnership with CAE demonstrates our responsibility to our customers in providing high-quality training tools that can assist in improving patient outcomes worldwide." CAE Healthcare will showcase its new educational solution at Transcatheter Cardiovascular Therapeutics (TCT) 2015, the world's largest educational meeting specializing in interventional cardiovascular medicine, on October 11-13 in San Francisco, USA. See the CAE Vimedix Simulator with Impella at Abiomed's booth #1117. To learn more about the CAE Vimedix ultrasound simulator, visit www.caehealthcare.com.